During Nintendo’s E3 Treehouse livestream, a new Legend of Zelda gameplay trailer was released. The new Zelda for Wii U and the upcoming Nintendo NX is titled The Legend of Zelda: Breath of the Wild, and according to Nintendo’s Reggie Fils-Aime, the game will offer a “seamless Hyrule”. Step into a world of discovery, exploration and adventure in The Legend of Zelda: Breath of the Wild, a boundary-breaking new game in the acclaimed series. 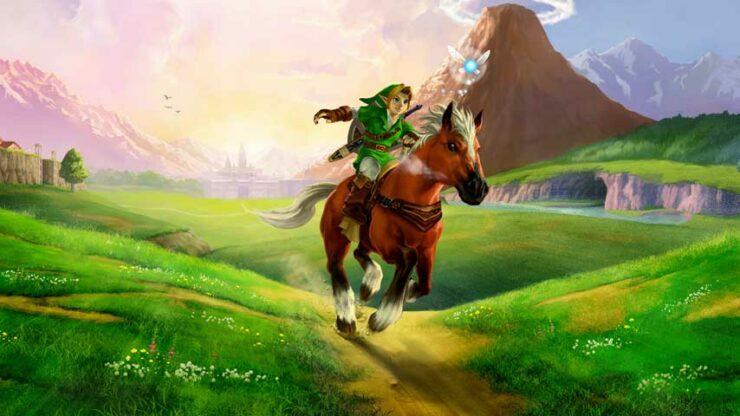 Travel across fields, through forests and to mountain peaks as you discover what has become of the ruined kingdom of Hyrule in this stunning open-air adventure. In the trailer we can witness our hero Link, swimming, diving, jumping, cooking, and climbing. Link can also be seen building pillars out of the water. Zelda for the Wii U and Nintendo NX will be breaking Zelda boundaries, and will feature the biggest world ever created by Nintendo. The Legend of Zelda: Breath of the Wild is scheduled for a release in 2017.